The National Bank of Ukraine on Wednesday again sharply cut the official exchange rate of the hryvnia, which again reached a new historic low. The National Bank of Ukraine at 1400 on Wednesday set the hryvnia exchange rate at UAH 16.7289 to the dollar, or 49 kopiykas lower than the last historic low rate of UAH 16.2414 set by the NBU on February 3, according to the official Web site of the National Bank of Ukraine. 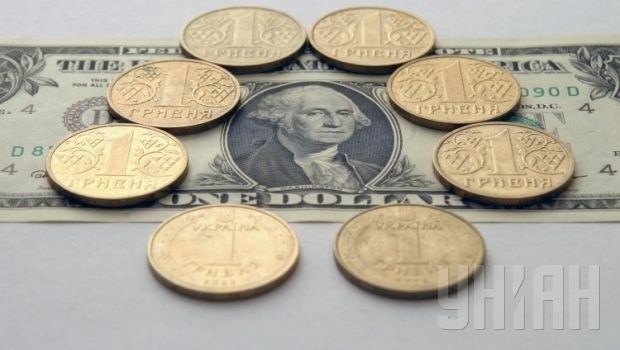 According to the site, quotes for the hryvnia against the dollar on the interbank market as of 1330 on Wednesday reached UAH 16.4811 to the dollar. As a result of today’s indicative auction held by the NBU, the hryvnia equilibrium exchange rate was set at UAH 16.4183 to the dollar. Some quotes for the hryvnia against the dollar on the interbank market, taking into account commission payments, reached UAH 22 to the dollar. Since the introduction of the hryvnia in 1996, it has three times suffered swift drops in its value: In 1998, its value fell by almost three times, from UAH 1.80 to UAH 5 to the dollar, while at the end of 2008 it sagged to UAH 8 to the dollar. It then dropped again at the end of last year, from UAH 8 to UAH 13 to the dollar, and has been losing value in fits and starts since then. On February 2, the National Bank of Ukraine announced the introduction of a single currency exchange rate that is expected by financial market participants to be introduced on February 5.